High Speed Wireless Internet New Pricing & Plans! 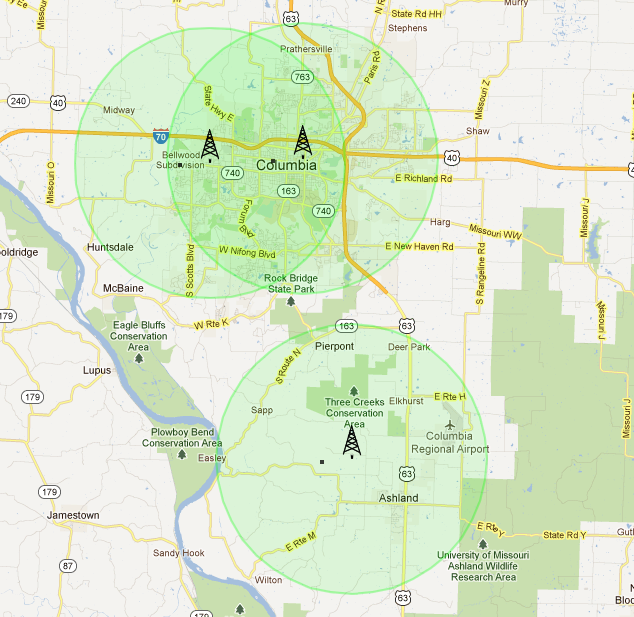 View our coverage map below then fill out our email so we can check to see if we provide service where you live. Contact us to check for coverage. Up to 6M/1M with no data cap! Up to 50M/10M with no data cap! Performance will vary per user device type, proximity to transmission towers, foliage, terrain elevation, and construction material types. Tranquility can provide custom antenna installations upon request to meet your specific needs (additional fees may apply). Please consult our techs for the latest specific service area availability information and performance estimates for your address.